Last year, a Slate essay called “Against YA” by Ruth Graham irked thousands of readers who took offense at her argument that although grown-ups “brandish their copies of teen novels with pride…. [a]dults should feel embarrassed about reading literature written for children.” Whether we label her article an instance of shaming, trolling, or just the expression of a not-especially consequential, “fuddy-duddy opinion,” what it also served to highlight—as so many other thoughtful and not-so-thoughtful online essays have done—is the huge sales numbers of so-called YA, a literary boom that shows no signs of slowing. Young adult fiction, along with children’s books in general, saw double digit growth in 2014, a phenomenon in part driven by those supposedly self-infantilizing adults Graham faults. The grown-ups reading teen books do so, Graham writes, because “today’s YA, we are constantly reminded, is worldly and adult-worthy.” Maybe, maybe not, but there is another question to ask here as well, wholly apart from whether the age 30-44 cohort who account for 28 percent of YA sales “should” be buying and reading YA books. And that question is: should young adults read Young Adult fiction? And what counts as Young Adult fiction anyway? A 2012 NPR list of the “100 Best-Ever Teen Novels” includes the expected Harry Potter and Hunger Games series (at numbers one and two, respectively), as well as more “literary,” but still obvious, choices like John Green’s The Fault in Our Stars and S.E. Hinton’s classic The Outsiders. It also includes Douglas Adams’ The Hitchhiker’s Guide to the Galaxy series, William Golding’s Lord of the Flies, Frank Herbert’s Dune, Ursula K. Le Guin’s Earthsea series, and Ray Bradbury’s Fahrenheit 451. It what sense do all of these very different kinds of books---some very complex and challenging, some very much less so---qualify as "teen novels"? Perhaps some of the fuzziness about quality and appropriateness comes from the fact that many "Top-whatever" lists like NPR's are compiled by readers, of all ages. And enjoyment, not edification, usually tops a general readership's list of criterion for "top"-ness. However, what would such a list look like if strictly compiled by educators? You can find out in another top 100 list: the 100 Fiction Books All Children Should Read Before Leaving Secondary School – According to 500 English Teachers (created at the request of Britain's National Association for the Teaching of English and TES magazine). There's a good bit of crossover with the reader-chosen NPR list; the Harry Potter books come in at sixth place. 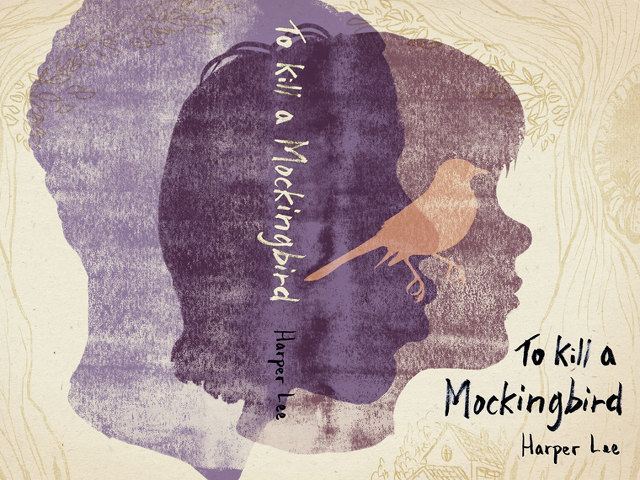 Both lists feature classics like Harper Lee's To Kill a Mockingbird. But the teacher-chosen list also includes more "adult" writers like Jane Austen, Thomas Hardy, and Toni Morrison. One teacher quoted in an Express article describes his own criteria: "It's always a balancing act in the books that teachers select. Do you go for something that students will enjoy and lap up and read, or do you go for something that will help them cut their teeth?" There seems to be a good balance of both here. You can see the first ten titles below, with links to free online versions where available. The complete list of 100 books for teenagers is here. In the TOP TEN ??? ” Brave New World “, should be an essential reading for every single youngster. The books on this list should be incorporated into classrooms (or outside reading) sometime before students graduate high school. Most of the books stem creativity among students or ask students to think about bigger, “worldly” ideas. Important to reach and understand before entering the real world. Where are Black Beauty, Thurber, Du Marier, Twain or Dickens?